(BGF) – Nicco Mele – entrepreneur, angel investor, consultant to Fortune 1000 companies, and member of BGF’s Board of Thinkers, will have a talk at 5:00 pm on January 15 (Boston Time) in Meet Boston Global Forum Leaders Series. As one of America’s leading forecasters of business, politics, and culture in our fast-moving digital age, he will give a speech about Internet in 2014 and his book The End of Big: How The Internet Makes David The New Goliath. The talk lasts about 20 minutes and is followed by a Q&A session. Follow the discussion live on our website and send us your questions before the talk to office@bostonglobalforum.org. Our ability to stay connected — constantly, instantly, and globally — is dramatically changing our world. This radical connectivity has brought about a new nature of power, overwhelming virtually every establishment it touches and providing a tremendous opportunity to re-imagine the kind of society in which we want to live. But these new technologies come with unintended consequences — some good, some not so clearly so. Already, social media and online communities have started to completely transform politics, culture, and business. Governments are being upended by individuals relying only on social media. Major political parties are seeing their power eroded by grassroots forces through online fundraising. Universities are scrambling to preserve their student populations in the face of less expensive, more accessible online courses. Print and broadcast news outlets are struggling to compete with citizen journalists and bloggers. I am concerned about what will happen if we do not approach this moment in human history with purpose and intention. One of the greatest misconceptions about the technical revolution is that the destruction of old institutions is an inherently good thing; that the creative potential unleashed by a radically connected world always outweighs the harmful consequences that may come with it. 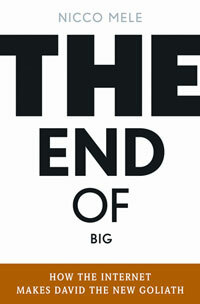 The End of Big reminds us that the creation of these exciting new technologies has largely been directed by a small group of computer nerds whose own anti-establishment ideology is embedded throughout. As their power has grown, it has shone a light on the necessity to exercise better and stronger control over the design and use of these advances. Our failure to provide a clear and moral vision in this arena may very well lead to a dark and wildly unstable future — one where our political, military, and economic leaders unwittingly cede control to online demagogues and other more insidious entities. 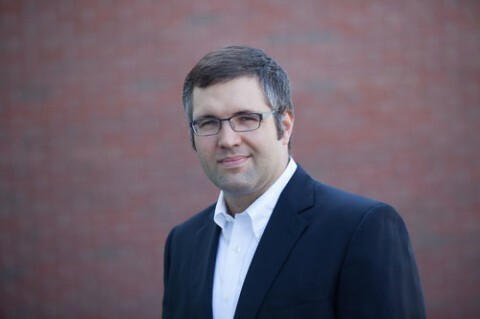 Born to Foreign Service parents, Nicco spent his early years in Asia and Africa before graduating from the College of William and Mary in Virginia with a bachelor’s degree in government. He then worked for several high-profile advocacy organizations where he pioneered the use of social media as a galvanizing force for fundraising. As webmaster for Governor Howard Dean’s 2004 presidential bid, Nicco and the campaign team popularized the use of technology and social media that revolutionized political fundraising and reshaped American politics. Subsequently, he co-founded EchoDitto, a leading internet strategy and consulting firm, whose non-profit and corporate clients have included Barack Obama’s successful Senate campaign, the Clinton Global Initiative, Sierra Club, UN World Food Programme, St. Jude Children’s Research Hospital, AARP, and Medco. Nicco is also on the faculty at the Harvard Kennedy School where he teaches graduate-level classes on the internet and politics. Nicco’s first book, The End of Big: How The Internet Makes David The New Goliath, was published by St. Martin’s Press in April 2013. In it, he explores the consequences of living in a socially-connected society, drawing upon his years of experience as an innovator in politics and technology. Since his early days as one of Esquire Magazine’s “Best and Brightest” in America, Nicco has been a sought-after innovator, media commentator, and speaker. He serves on a number of private and non-profit boards, including the Nieman Foundation for Journalism at Harvard and Breakthrough.tv. Nicco is also co-founder of the Massachusetts Poetry Festival. For more, including the latest resources to help you start managing the “end of big” in your work and community, visit NiccoMele.com.